Sites tend to come and go, or move. If you find a broken link please let me know. There is a grant available for WWII veterans to visit old battlefields. For family historians: it's possible to obtain service records. There may be a £30 charge. Army vocabulary can be mystifying: this site about the LRDG sheds some light. There are a great many websites about Palestine so below is just a limited selection. If you think a particular site should be included please let me know. 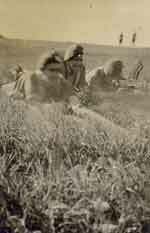 1st Battalion the Argyll and Sutherland Highlanders — detailed regimental history of the battalion's service in Palestine with many photos. Bill 'Wattie' Watts' has set up a site specifically to help Palestine Veterans get in touch with each other. Unfortunately, the Britains Small Wars website is no longer available. Encyclopedia of the Palestine Problem by Issa Nakhleh; fully referenced. Forces Reunited for those trying to get in touch with old friends. MOD Roll of Honour — brief history and some photographs. Pte Des Le Pard's letters from Palestine on his son's blog. The Palestine Police Old Comrades' Association (PPOCA)is now closed and the British Palestine Police Association (BPPA), has replaced it. British Pathé — Huge resource of film clips. Budget Films — many clips about Palestine. Colonial Films Portrait of Palestine, 1947; 17min 24sec, 2 reels. 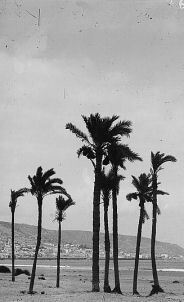 Desert Bloom's large collection of photos on Flikr; many of British Army in Palestine, circa 1936, and other Middle East images. Matson Photographic Collection — photographs from the late 19th Century to 1946. Photos of Palestine on Flashbak. 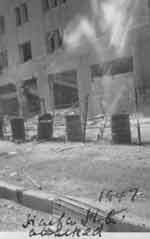 These good quality images are from 1930-1949 and cover many subjects: military, people, places, etc. 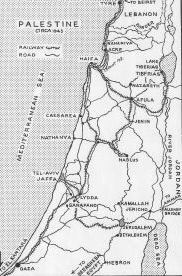 Rev Harry Pointon's photos — mostly of Jerusalem. Ronald Hornsey, 3rd King's Own Hussars photos of war in the Middle East with index. The Imperial War Museum has a huge collection of film, sound, photographs and documents; some online. The Royal Anglian & Royal Lincolnshire Regimental Association: photos from: John Searby | George Massey | Drummer Frederick Wragg. ABF The Soldiers' Charity: financial assistance to veterans or those currently serving and their families. Combat Stress: for those veterans with psychological wounds. Commandos Benevolent Fund provides financial assistance to former Army Commandos and their dependants. Poppy Scotland: welfare assistance to veterans and their families in Scotland. Royal Air Force Benevolent Fund: provides welfare assistance for former or serving members of the RAF and their families. Seafarers UK: supports and promotes organisations that look after seafarers in need, across the Merchant Navy, Fishing Fleets, Royal Navy and Royal Marines, together with their families and dependants. SSFA Forces Help: provides assistance to veterans, or those currently serving, and their families. The Not Forgotten Association: provides entertainment, leisure and recreation for the serving wounded, injured or sick and for ex-service men and women with disabilities. The Royal British Legion: provide practical care, advice and support to serving members of the Armed Forces, veterans of all ages and their families. The Royal Naval Benevolent Trust: provides financial assistance and runs their own care home, Pembroke House, near Chatham. Veterans Aid: for veterans in crisis no matter in which service or when you served. Veterans UK: provide information on services from many organisations.